Reger Rizzo & Darnall is pleased to announce that Jason T. LaRocco has joined the Firm as a Partner in our Philadelphia, PA Office, and Paul D. Sunshine has joined the Firm as a Partner in the Wilmington, DE Office. 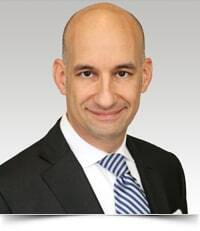 Mr. LaRocco brings more than 15 years of experience to the Firm's Insurance Practices and Litigation Groups. He focuses his practice in the areas of commercial auto litigation, premises liability, products liability, dram shop litigation, nursing home claims, real estate disputes and construction litigation. Additionally, he has litigated general commercial matters, and has also represented small to mid-size businesses in contract disputes, fraud claims and in the execution of foreign judgments. Mr. LaRocco is a 2001 graduate of Vermont Law School where he earned his Juris Doctor and his Master of Studies in Environmental Law. He also received his Bachelors of Science Degree in biology from Villanova University in 1995. Mr. LaRocco is a member of the Philadelphia Bar Association, the Defense Research Institute and the Philadelphia Association of Defense Counsel, and is licensed to practice in Pennsylvania, New Jersey, the U.S. District Court for the Eastern District of Pennsylvania and the U.S. District Court for the District of New Jersey. Mr. Sunshine focuses his practice in the areas of general liability, construction defect, trucking and transportation litigation, and alternative dispute resolution. 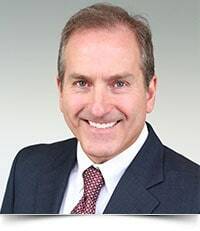 Mr. Sunshine brings with him more than 25 years of experience representing clients in a wide range of matters including products liability, toxic tort, transportation, general liability, personal injury and construction defect litigation. He represents regional, national and international clients in all phases of litigation throughout Delaware and Maryland. In 2010, Mr. Sunshine was certified by the Delaware Superior Court as an Advanced Mediator and Approved Arbitrator. In that capacity, he has been selected numerous times by his peers to assist in the resolution of disputes. He was also appointed as Special Master to the Family Court by the Chief Judge, and was invited to join the Richard S. Rodney Inn of Court with a focus on all aspects of litigation. In addition to his legal career, Mr. Sunshine serves as an adjunct faculty member at the Delaware Technical and Community College and at Wilmington University. He also enjoys serving as Judge for the Widener University School of Law Moot Court Competition and as Presiding Judge and Case Committee Member for the Annual Delaware High School Mock Trial Competition. Additionally, after earning his J.D. from Widener University School of Law, Mr. Sunshine served as a law clerk to the Honorable Vincent A. Bifferato in the State of Delaware Superior Court. Mr. Sunshine is a 1993 graduate of the Widener University School of Law, and a 1990 graduate of the University of Delaware.